For many popular editing tools or media players, due to the limitation of MXF container format, it is not friendly to work well with them together. 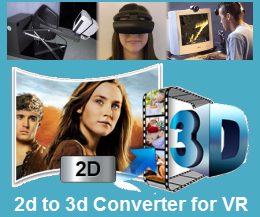 Sony XAVC Converter may be the best choice for you. Here UFUShare Video Converter for Mac is highly recommended. It does a good job in converting Sony PXW-X500 XAVC MXF to GoPro Studio most compatible format AVI/H.264 MP4/QuickTime MOV with least quality loss. Plus, it supports encoding camera shootings in different formats (MTS/M2TS, MP4, MXF, XAVC, etc.) to video editing software compatible file types, i.e. MPEG-2 for Premiere Pro, DNxHD for Avid Media Composer, Apple ProRes for Final Cut Pro to meet your different needs. How to import Sony PXW-X500 XAVC files to GoPro Studio for editing? Step 1. Install and launch UFUShare Video Converter for Mac as the best Sony XAVC Converter on your Mac computer, click “Add File” button to load your source files. You can load several files at once thanks to “Add From Folder” button. Step 2. Click the “Profile” bar to get the drop-down menu and choose “HD Video > MOV – QuickTime Video(*.mov)” as best output format. You can also select “HD MPEG-4 Video(*.mp4)” or “HD AVI Video(*.avi)” for “HD Video” category as the target format. Step 3. Click “Settings” button to customize the output video and audio settings by yourself. But if you are not good at it, you’d better use the default parameters, they will ensure you a good balance between file size and image quality basically. You can change the resolution, bit rate, frame rate as you need. Step 4. When everything is done, you can click “Convert” button to convert Sony PXW-X500 XAVC to AVI, MP4 or QuickTime MOV for GoPro Studio on Mac. When the XAVC to AVI/MP4/MOV conversion is done, you can click “Open Folder” button to get your generated .avi, .mp4 or .mov files. 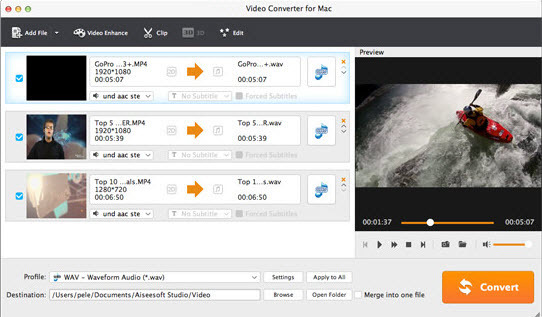 Now, you can edit Sony PXW-X500 XAVC files in GoPro Studio on Mac OS X without any hassles. How do I Get Deleted WhatsApp messages Back from Samsung Galaxy J2 Prime? How to Edit Sony PXW-X200 XAVC Files in Premiere Pro CC/CS6/CS5?